While Apple has remained mum on the matter, the company is now listed as an official "Sponsor BoD" member on the organization's website. 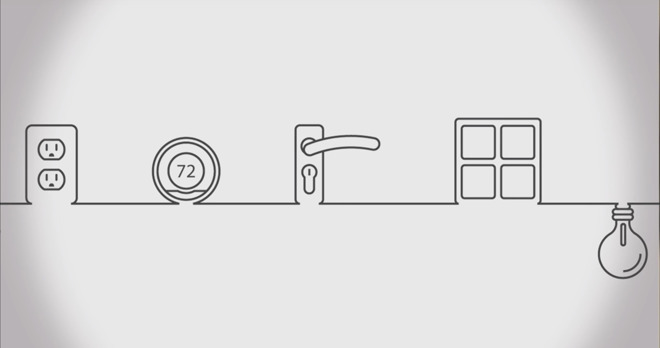 The commitment leads to speculation as to what place Thread holds within Apple's smart home. 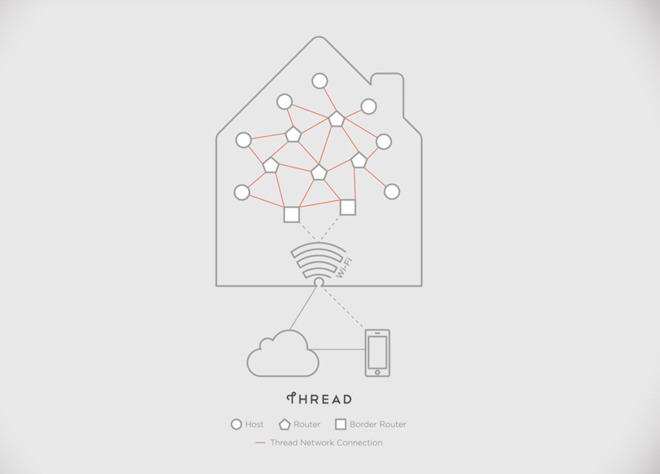 Thread is a mesh networking standard, competing with the likes of Z-Wave, Zigbee, and Bluetooth. Devices that use the technology connect to each other instead of a hub or host device, thus expanding their range and usability. Thread is designed to handle a range of common mesh networking products such as Hue lights, as well as appliances, security systems and more. "Thread's technology isn't reliant on a home internet connection or Wi-Fi, instead, it provides a dedicated network for connecting products in the home," Thread says on its website. Being able to have a dedicated IP network to connect products without taking a huge hit on battery life would be a huge advantage to HomeKit devices. Currently, Apple only allows certain products to operate on battery, requiring others to be plugged into power constantly. HomeKit cameras are one example of an accessory that is unable to run on battery, even though there are many non-HomeKit devices that do. At the moment, there are a few Thread products on the market, such as devices from Google and Nest, as well as smaller players like Eero and its second-generation wireless router system. Amazon, which is gearing up for a push deeper into the smart home with its acquisition of Ring, is also a member. Apple's intentions with Thread are unknown. The company might be joining to understand all options available for connected home products, or it could have plans to utilize the tech in a future version of HomeKit. In the past, Apple has joined organizations ahead of officially adopting their technology. For example, the company joined the Wireless Charging Consortium prior to launching iPhone 8, 8 Plus, and X, the first iPhones to integrate inductive charging. Hopefully this is a sign that Apple is doubling down on HomeKit, which saw only a few changes this year with iOS 12. Among the major additions is support for third-party remotes.